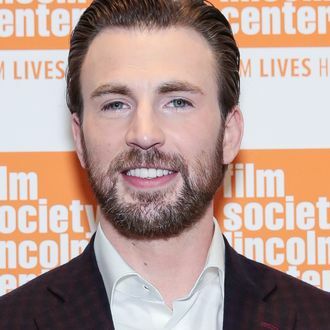 With more days as Captain America behind him than ahead of him, Chris Evans is making new plans, and Apple’s burgeoning original programming department has a ton of money to throw at A-listers. According to The Hollywood Reporter, Evans will star in and executive produce Defending Jacob, a drama based on the novel of the same name by William Landay. Evans will play Andy Barber, a district attorney who finds that his teenage son is a suspect in the case of a murdered 14-year-old boy he is investigating. Chris Evans solving crimes! Chris Evans being a hot dad with a huge emotional conflict of interest! The series will have an eight-episode run, and it will debut whenever Apple decides to roll out all those projects its making with heavies like M. Night Shyamalan, Jennifer Aniston, Reese Witherspoon, Damien Chazelle, and more.